Private Golf Course Community, Spacious and lots of light, Two story home in Hunters Green in the village of Wynstone, a fully gated, country club community. 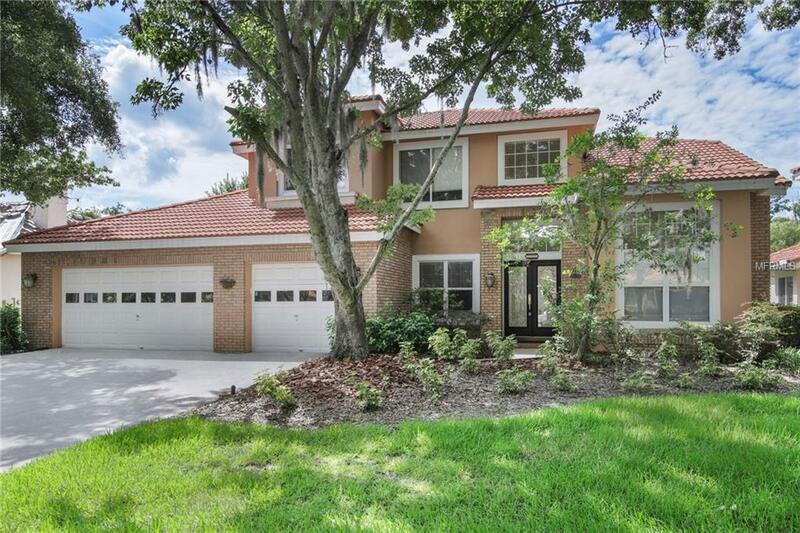 This pool home is situated on a beautiful conservation lot and has double leaded glass entry doors, Granite counters in the kitchen, and laminate flooring in main rooms. large Master Bedroom suite, another bedroom downstairs (could be used as an office or den) and full bath downstairs, and two bedrooms, bath and an open loft area are upstairs, Three car garage. The pool has been resurfaced, NEW Refrigerator, Range Top and Oven, and no carpet in the home. Hunter's Green offers community tennis courts and recreational park and the security. This home can be a 4 - bedroom, you can either use the downstairs extra room as a Den/Office, or you can wall in the loft area. Some models already have this loft area completed.